In addition to using the Snapdragon 855 processor in a 2019 phone, OnePlus will also produce a 5G smartphone to go along with a 4G LTE model. News of a network partnership in the U.K. was also revealed, showing how much emphasis OnePlus is putting on the new network technology. Not only that, but we might be able to see the phone in its initial stages earlier than we previously thought — OnePlus has said that it’ll be showing off a prototype of the OnePlus 5G phone. The prototype will be shown off at an event called “Connect with the OnePlus Community over 5G,” and attendees of the event will be able to “experience the capabilities of 5G gaming.” The event will take place on February 26 at Mobile World Congress Barcelona. At Mobile World Congress in Shanghai earlier this year, OnePlus CEO and founder Pete Lau said it’s thanks to the company’s relationship with Qualcomm that OnePlus is shaping up to become one of the first 5G mobile phone makers. Lau said the release will align with the first year 5G will be available in the U.S., and he’s also confident it will be the first to sell a 5G-capable phone in Europe, through a partnership with the U.K. carrier EE. 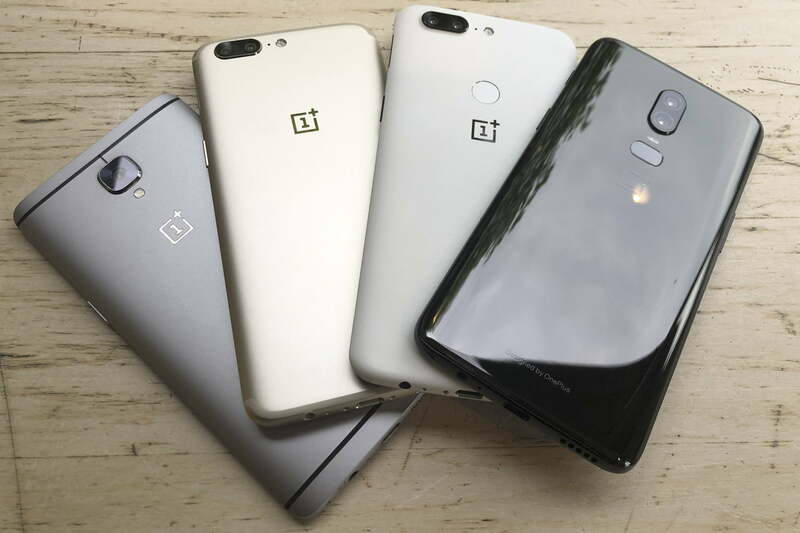 A previous statement from OnePlus stated the handset would be available in early 2019, and that’s since been narrowed down to May 2019 by Lau (speaking to Cnet). Expect to pay more money than usual for the privilege of owning a 5G OnePlus phone. Lau estimated it will cost between $200 and $300 more than the 4G model, in an interview with TechRadar, which means it’s likely to cost around $750 to $850. OnePlus is known to offer flagship specifications at a lower price tag. The OnePlus 6T starts at $550 and is powered by the Snapdragon 845 — the same chipset that powers the Samsung Galaxy S9 and the Google Pixel 3, phones that initially cost more than $720. The name of the 5G phone may not be the OnePlus 7, which may only be used for the 4G phone, as OnePlus will adopt a new name for its 5G phones. It’ll be a separate range of devices, due before the end of May 2019, and will be only the second time in the company’s history it will sell more than one family of phones. The last was the short-lived OnePlus X, which existed alongside the OnePlus 2. We’ll keep you updated with more OnePlus 5G phone news here. Samsung has for the last few years been first to use the latest flagship Snapdragon processor in a new device, so OnePlus’ announcement broke tradition, and could have been seen as a big deal for upstart OnePlus. The new Snapdragon chip is not only more powerful, but also places an emphasis on improved A.I. processing, better camera processing, and more. Now, in light of the clarification, it appears OnePlus’ news is no different from other manufacturers in 2019, in that it will use Qualcomm’s new Snapdragon 855 at some point. The miscommunication even extended to OnePlus’s Twitter account, where the surprise announcement was highlighted in a message. Updated on February 11, 2019: A prototype of the OnePlus 5G phone will be shown off at MWC 2019.